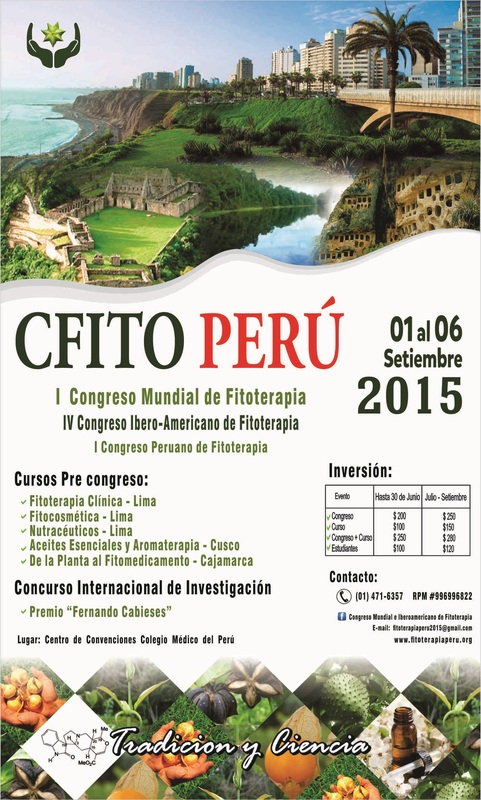 "The Peruvian Association of Scientific Phytotherapy (ACIPEFIT) as a member of the Latin American Council of Phytotherapy - Conselho Ibero-American Phytotherapy (CIAF), together with the Ministry of Health, Social Security and the Regional Council III of the Medical College of Peru, with the advice and sponsorship of prestigious public and private national and international institutions, focusing on its key objectives to provide comprehensive patient care within their social and cultural context, as the supreme goal of the work of all healthcare, research and search dialogue between all stakeholders in order to achieve a coordinated and harmonious vision. 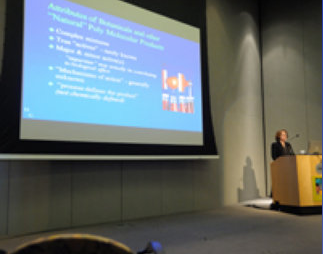 In this regard, the experience of other Latin American and fulfilling the commitment made at the III Ibero-American Congress held in Brazil in 2012, it organized the IV LATIN AMERICAN CONGRESS OF FITOTERAPIA, I WORLD CONGRESS FITOTERAPIA YI FITOTERAPIA PERUVIAN CONGRESS, which will to enrich our knowledge and open new research perspectives and responsibility in implementing the bio in the world, to help our poblacióntanto to improve their levels of public health, such as the ability to show the world our biodiversity." 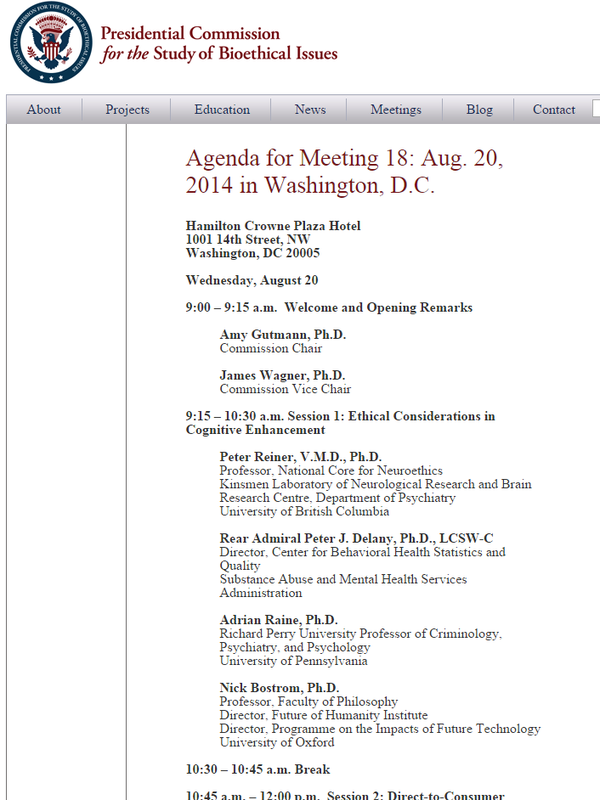 August 20, 2014, Washington, D.C.
"The Presidential Commission for the Study of Bioethical Issues (the Commission) will conduct its eighteenth meeting on August 20, 2014. At this meeting, the Commission will discuss the BRAIN Initiative and ongoing work in neuroscience."